News hot of the press ……. The Fraser Gallop 2007 Cabernet Sauvignon has just won the prestigious Decanter World Wine Awards for the best Bordeaux red blend. London’s Royal Opera House was packed with stars of the wine world last night who gathered to discover the winners of the prestigious Decanter World Wine Award International Trophies. In a competition of over 10,000 wines from around the world, the biggest coup of the evening was Fraser Gallop Estate from Western Australia’s Margaret River claiming the benchmark Bordeaux Blend Over £10 International Trophy. Beating hundreds of the world’s most expensive wines to receive the engraved Riedel Trophy was an exceptional achievement for a winery that only planted its first vineyard in 1999. Fraser Gallop Estate’s 2007 Cabernet Sauvignon was blind tasted by a panel of international judges (including Australia’s Huon Hooke) against trophy-winning Cabernet Sauvignon from France, South Africa, Chile and New Zealand to be declared the best Bordeaux Blend Over £10 ($A20). Less than 1% of the 10,000 wines entered won a Trophy and only 2% a gold medal making The Decanter World Wine Awards a tough competition. Winemaker Clive Otto flew into London yesterday to accept the award. Not sure whether he was wearing clothes as his luggage disappeared en route! The 07 Cabernet from all over the Margaret River region is fantastic but the Fraser Gallop just had something special about it right from the start. A truly sensational wine. 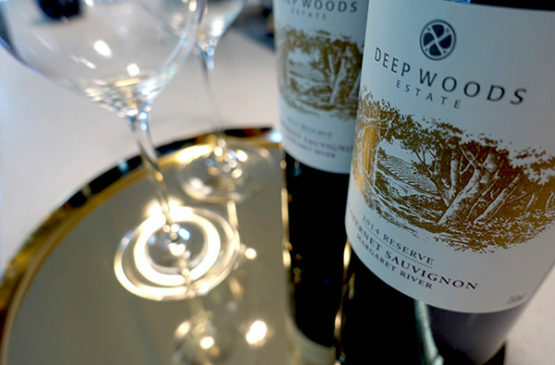 The Margaret River Discovery Tour has exclusive access to Fraser Gallop Estate where we sample the award winning wine with a gourmet lunch amongst ageing barrels of this year’s vintage (which just quietly, looks even better). Congratulations to Nigel, Clive, Kate, Paul and all the team at Fraser Gallop!